Up to $10K in Designer Options at Smyrna Grove – Live Close to Suntrust Park – Hurry only 17 remain! Looking for an energizing area to live? Smyrna has become a very exciting area with the building of Suntrust Park and great restaurants like J. Christophers opening soon in Belmont Shopping Center. The Atlanta Braves have just won the National League Champions for 2018, the first time since 2013. Imagine living close but not in direct traffic of this exciting ball park plus enjoy The Battery open year round. 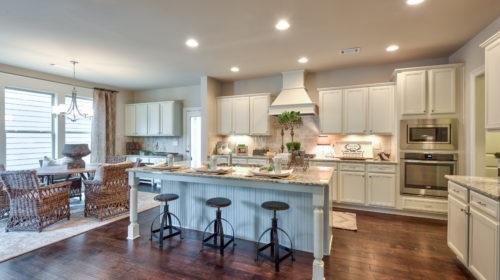 Smyrna Grove offers exceptional value and timeless quality is in each and every home and with only 17 opportunities remaining, now is the time to make your move before it is sold out! Wonderful and well-appointed luxury finishes such as hardwoods in extended foyer, kitchen,breakfast and powder room. When only the best will do, expect to be impressed with gorgeous detailing throughout the home including crown molding in foyer, kitchen, living area and master bedroom.